Amaranth is a gluten-free food and a source of complete protein—it contains all the essential amino acids, including lysine, which is lacking in most grains. High in fiber and a good source of magnesium and iron, Amaranth is a spectacular addition to your diet. This little powerhouse is perfect for gluten free and vegan diets. Amaranth has an earthy, nutty flavor and can be cooked and used in breads to give a boost of nutrition and a crunchy texture. Amaranth has shown potential as a cholesterol-lowing whole grain in several studies conducted over the past 14 years. Amaranth contains calcium, magnesium, potassium, phosphorus and iron. Amaranth’s tiny grains take on porridge-like texture when cooked, making it a great option for your first meal of the day. 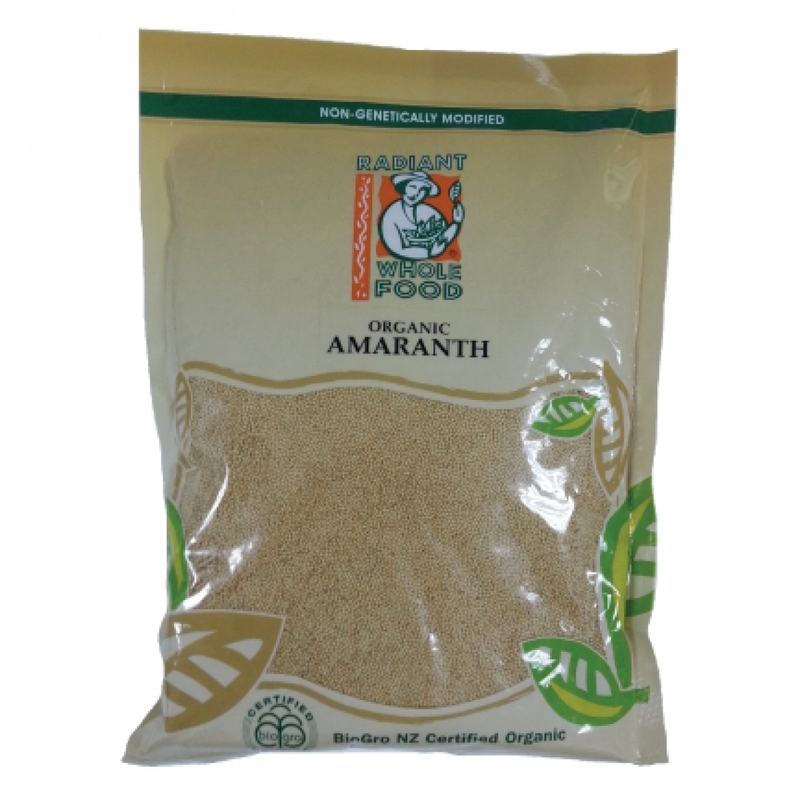 Serve amaranth instead of rice. Make amaranth instead of oatmeal. Add nuts, spices and fruit for a healthy and sweet breakfast. Use amaranth to make cookies or pudding.